If you’re using multiple currencies in SpendMap, you might be tired of updating the Exchange Rates for your Currency Codes all the time. 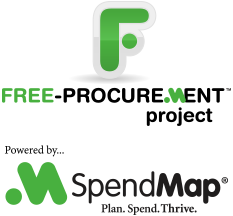 To save you some time and effort, we added a new feature in version 14 of SpendMap that can be used to update all exchange rates in SpendMap with current rates available on the Internet (from Yahoo! Finance), as opposed to having to update the Rate Field for each Currency Code manually. If you use multiple currencies in SpendMap, updating the exchange rates frequently is recommended so that the landed dollar values for each transaction (which affect budgets, spend reporting, etc.) will be as accurate as possible.